Battle of the Paddle – Westerville Tournament Results – Pickleball is Thriving in Northwest Ohio! This past weekend the Second Annual Westerville Battle of the Paddle Tournament was held. 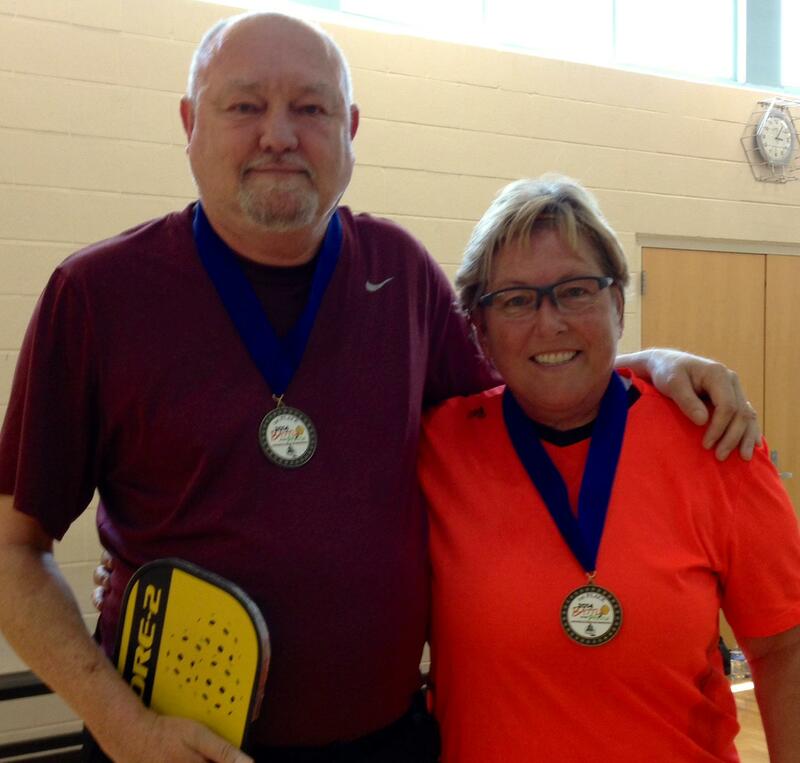 Toledo Pickler’s, Betsy Kenniston and Wayne Goodwin brought home the gold in the 3.5 Mixed Doubles Bracket. Betsy and Wayne excelled over the competition and were great representatives of Toledo Pickleball. Wayne, along with his partner Dave Majick (Chardon, OH), also brought home silver in the Men’s Doubles 3.5 bracket. The tournament director, Erik Dicke, and his team really put on a nice tournament with over 120 players registered to play. The Westerville Club has grown from 6 people to 100+ players in about 2 years! Next year for those of you looking for a nicely run local tournament, give the Battle of the Paddle Tournament in Westerville, OH a try! While you are in Westerville, make sure you stop and get some Graeter’s Ice Cream too :)! Congrats again to Betsy and Wayne! Nicely done! ← Dinking – Raise the level of your game! Sounds like another great pickleball tournament. Congratulations to all involved, especially, Wayne and Betsy for bringing home the gold. Congratulations Betsy and Wayne. Way to train, Betsy–she stuck to the soft drinks at Cheers the other night. Might be a lesson for us all (o.k., maybe just for me). Sandy K.
Thanks Sandy! Wayne and I had a blast! Steve Fichtelman finished 2nd in the mens 3.0. Thanks for posting Bob, sorry I missed Steve’s results!!! !